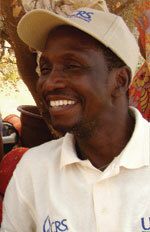 The presentation by Jacques Kabore, a program director for CRS in Burkina Faso, will describe his work in the country. Participants will discover easy and practical resources to enliven their parish community, and have opportunities to network with other parish leaders and representatives. A simple supper will be served free of charge at 6 p.m. at St. Thomas, located at 1229 East Lancaster Avenue, Lancaster. Contact Anne Ayella at aayella@adsarch.org by March 1 to indicate attendance. The program is sponsored by Catholic Relief Services’ Northeast/Mid-Atlantic Region and Nutritional Development Services of the Archdiocese of Philadelphia. Support is also provided by the archdiocesan Office for Pastoral Care for Migrants and Refugees, and the Office for Life, Family and Laity.